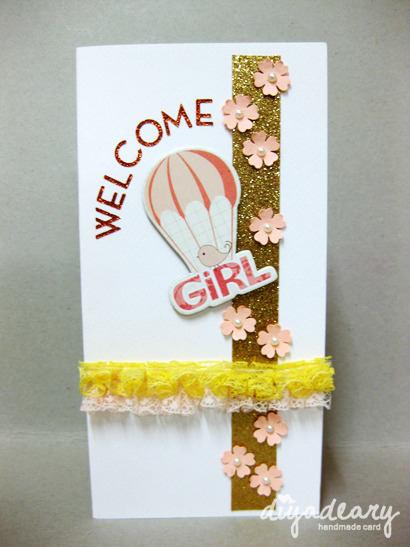 This is our very first card made for celebrating new born baby. When we received the order, we were overwhelmed. Finally! Haha. We now could use the baby's embellishment that we had in our collection for quite some time. Anyway, we had this pink colored parachute with "girl" wording on the bottom. We thought it was perfect for the card. 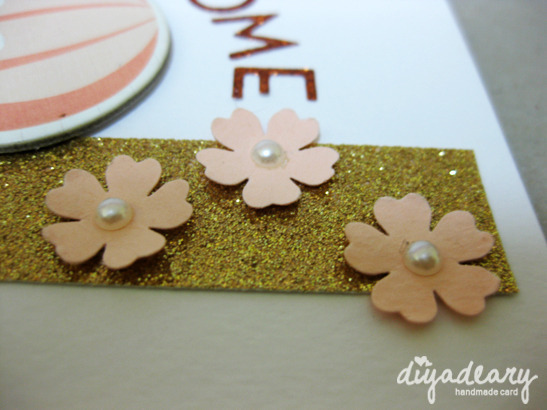 A part of that, we place a single strip of glittered gold with flowers on it represent the joys and happiness in the heart to celebrate the new born baby. 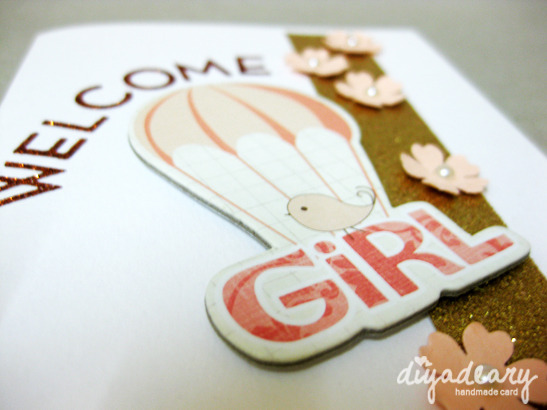 Welcome to the world, girl!